This is one of our favourite bushcraft experiences because it brings together some of our own passions, namely the British countryside, fresh, sustainable ingredients, cooking and great food! If you share any of those passions, or simply want to know more about the wild plants around you, this is the weekend for you. If you are interested in learning about the wonderful fruits and fungus of the forest, try our 2 day autumn foraging course. The woods are an abundant source of delicious food if you know where to look. We will take you for a stroll around our woodland and neighbouring fields and hedgerows and collect various plants, that you can eat – as well as showing you those to be avoided. Once we get back to our woodland camp, you will prepare all the wonderful ingredients collected, cook them and eat them! Everyone gets their own dish to cook and add to the banquet. You will also be able to try out different backwoods cooking techniques and cook dishes with vension, pigeon and trout using grills, skillet, dutch oven, pit oven, bin oven and embers. Many of the dishes will be familiar to you but have a wild foods twist; so for example, on a recent Indian themed wild foods course we made venison curry, a wild and weedy curry, sag aloo, pakoras, samosas and bhajees all using wild ingredients. We’ve also held Mediterranean and Oriental themed wild food weekends! We’ll also cover some basic fire lighting and you will make some cooking utensils that you can take home with you. If time permits you will also be shown a few herbal remedies and get the opportunity to make some cremes to take away. I was expecting the foraging experience to be interesting but this weekend surpassed my expectations! We were so lucky with the fabulous weather and I have come away with amazement in nature's provision! Hog weed shoots, ground elder, nettles, yarrow, ramsons, sheep sorrel to mention a few favourites! Extremely well fed and feel that the process of learning to recognise the plants might actually be retained! Thank you! Just got home from a wonderful weekend. Felt so at home but at the same time suspect I have just spent the weekend with an undescovered masterchef. Also the wealth of Foraging knowledge and woodland skills shared are invaluable. Will definately be returning for more of the same. I can't recommend this course enough, great fun, hugely informative and you come away really feeling like you have learnt something - you are also fed like an absolute king !! Nicola and Gary are so welcoming and have that perfect mix of being relaxed, yet always on hand. The things that will really stick in my mind are; all the different ways to light fires, the amazing ness of stinging nettles, and jelly fungi! Absolutely tremendous, Gary and Nicola are just wonderful hosts, full of knowledge and joie de vivre, we learnt a vast amount about foraging and ate some of the best food we've had in years. The camp has everything you need yet you feel hidden away and living rough in the woods. Great fun, achieved loads, a perfect weekend, many thanks indeed. We were both really looking forward to this weekend - and it totally fulfilled our hopes .... and more!! On arrival, we were greeted with a spectacular carpet of bluebells covering the whole of JRB's woodland camp - a perfect start to a highly enjoyable, hugely informative and fun weekend! Gary and Nicola could not have done more to make us feel welcome and ensure we were comfortable - & I even got to sleep in a hammock .... something I've always wanted to do! They willingly shared their extensive knowledge of nature and bushcraft - and their passion for woodland living was evident ...... and contagious! There was an abundance of plants in the woods & surrounding area which could be foraged, under the expert guidance of Nicola and Gary - and Nicola then worked her magic to create inspiring and delicious dishes.... with a little help (or hindrance!) from the rest of us! Really appreciated the great company of the other participants - & I would feel comfortable coming on this course either as part of a couple or as a single female.This wonderful weekend also gave us experience of other areas of bushcraft which are essential to cooking - including gathering firewood, lighting fires and different ways of cooking outdoors. We cannot recommended both JRB - and also this course - highly enough! 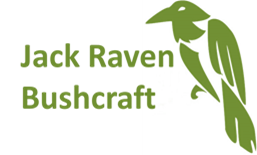 Now ..... which JRB bushcraft experience shall we do next? PS...will never buy spinach again now I know how to cook with nettles!